It is with a heavy heart that I announce the failure of the filming project. This is due to the fact that it has been 4 months since I have heard from Mr. Nyenhuis, who was responsible for the filming endeavor. Though we appreciate his efforts, it has become clear that the project itself has lost its momentum, and is, for all intents and purposes, dead. Not everything is lost though. I am resuming production of the original Star Trek: Equinox audio series with the assistance of Hidden Frontier Productions, which will be promoted through this page, as was the original intention. 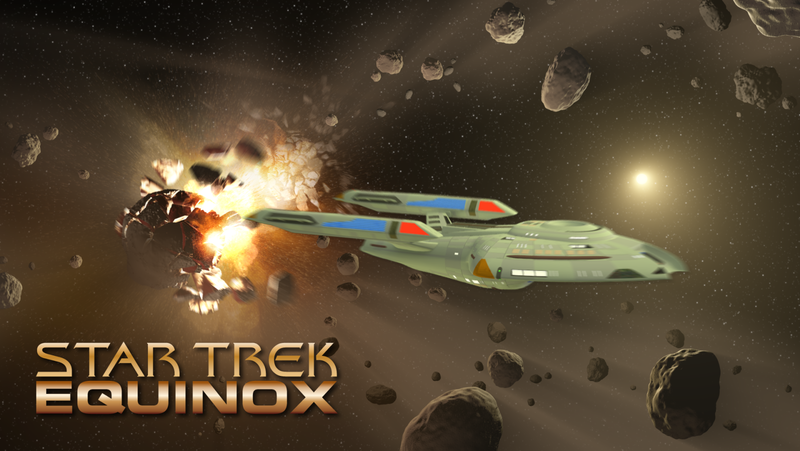 There have been some changes to the original intention of the Equinox audio series, which was to tell the back story of the ill-fated U.S.S. Equinox from the Star Trek: Voyager two-part episode. Stay tuned as new developments on the audio series are announced, and thank you for your patience and support while I’ve been trying to figure out what the blazes has been going on. Filed under News, Star Trek: Equinox.